Everywhere we go it seems technology has invaded, taken over our lives, continues to usurp our jobs; we no longer talk to people on the phone anymore content with texts and e-mails, Facebook postings and Instagram, customer service has been relegated to automated menus or on site kiosks to retrieve plane tickets, place orders, purchase groceries even pay your basic monthly bills, not to mention how many of these functions have been moved permanently or semi-permanently online to the internet. But people, consumers, citizens operating in the world today are expressing a growing concern of a different kind; oh sure they have one eye on the implications of NSA surveillance, IRS scandals and mail monitoring, worry about drones and the sheer number of cameras trained on our every move in the name of security. Yet harshest words seem to flow to the makers of technology, less admonishment for pushing the next gadget and more asking why the staple gadgets we use for work and play no longer provide the level of quality and function we’ve come to expect, rely on? Why does it seem like no matter how far technology advances, no matter how many gadgets we’re given satisfaction is still woefully out of reach when choosing a model, brand or type; and no, they don’t mean continuous envy for the latest thing on the market, nor the new thing that was meant to make our lives easier suddenly making it more complicated, though it’s closer to the truth than many would like to admit. No they mean no matter the offerings we are given to choose from, no matter what they manage to pack into the smallest size, what they’ve managed to make a smart phone, a laptop, a tablet, a latest generation television do for consumers we still can’t find the features that work best for us, the basics that define the apparatus we are buying. Whether it’s seeing the proposed new configuration of the latest windows operating system set to come out next year, trying to ascertain which one you really need, between a laptop and a laptop/tablet combo, a surface tablet with attachable keyboard, being on the fence about sampling the latest thing in movie theater entertainment, having to listen to news sound bites about latest offering in smart phones, apps for everything from budgeting, selling unwanted clothing, monitoring our health, nanny cam-ing our babysitter, that is the resounding plea of technology users today. People are more and more aware of what they want, the 99 things that they don’t and how tech makers continue to fall short. Outside the built in features present on every phone, computer, gaming system, options for televisions, half of which the majority of users will never activate, turn on or even notice, outside the mounting costs for all the extras you never asked for, the upgrade, upgrade, upgrade hamster wheel we forever find ourselves on are the practical why’s behind people’s rejections, why they are writing scathing reviews of top computer and phone companies, are leaving the largest TV’s on the shelves and buying old school, vintage video game systems from sites like ThinkGeek playing classic, Nintendo, Super Nintendo and Saga Genesis games over X box one, Assassins Creed and Call of Duty what number are we up to now? 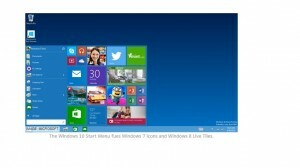 Take the new rollout of windows for example, beyond the stupidity of going from windows 8, skipping 9 and calling the new product windows 10 as a way to move forward, AKA hope current, former users forget their pet peeves with windows 7, overheating laptops, plugged in not charging bugs, office 2010’s horrible spell check that seems trapped in the 3rd grade worse than 20 odd years of Bart Simpson. Hoping tech experts and trend watchers forget the glitch-y issues with windows 8 causing it to feel like it was still in beta testing or the suspicion Microsoft couldn’t decide if it wanted its next big thing to be a tablet or a PC, so it tried for both failing miserably. Bummer, people’s memories aren’t that short and long time buyers of laptop and desk top PC’s are thoroughly unimpressed with their latest offering. Top complaints of admittedly older users and repeated computer buyers include, beyond a nostalgic love of windows XP is the concept underlying their love for the former OS; “it actually did things, key things well versus trying to do many things, too many things, doing all of them badly.” For Example spell check that has been, in user opinion, going down steadily since XP; something I myself can attest to. Where I used to routinely be able to plug in my best spelling of aficionado and actually get the word I was looking for, now typing in my best guess or even the lead finger adding of a letter and you get “no spelling suggestions” staring at you in italics, driving you batty trying to spell common words you don’t use that often, are struggling with because it’s 4 a. m. and you’re trying to meet a deadline, are tired but want to finish your train of thought, chapter of the story you are writing. Contrast that experience with google toolbar’s automatic spell check when you type in search terms, your best attempt and definition afterward will in one try usually get you the word you were looking for much more expediently. Creative writers, informal bloggers have a standing complaint about style issues, Word insisting on subject verb agreement similar to what you would use in a college paper, graduate thesis; as someone who relies on quotes frequently, I grow exceedingly tired of snippets from opinion blogs and other venues copied in complete sentences being labeled fragments, underlined suggesting I revise. Viewers looking at the integration between the PC, laptop usability of XP, even windows 7 and the new generation windows 8 tablet-esque format also popular with touch screen, hybrids indicate they have no use or patients with the clunky tablet layout still partially present; particularly cumbersome, visually unappealing on a desktop, calling it windows 8 with a start menu. Others chafe against the search bars there you cannot eliminate; chiefly the one solely for web content and a display of trending social media pictures Justin Bieber, Duchess Kate. Leaving people saying what is this crap; further, the task tiles, individual desk tops, an option for each task, file cluster only serve to confuse older PC users, the grandmother getting her first one to Skype with her grandson at college or people who prefer simplistic and uncluttered no matter their age. Again, speaking for myself, one of the biggest problems I see from pictures, tech review explanations is I don’t need big clunky tiles ever, but certainly not for things I don’t use Facebook, photos, other social media, Netflix, when I don’t have an account, subscription, that’s not what I use my computer for. Aversion to windows 8, a tablet PC combo, whether it’s just in the operating system or the physical computer itself, isn’t a simply boiled down to an aversion to change; those steering clear of the above may well be steering clear of a potential money pit. A money pit centered in yes it’s great to be able to detach the keyboard portion of my laptop and take my lighter, smaller “tablet” screen with me on the bus to watch videos, to the store loaded with games to keep my kids occupied, I can work in the park with all the office tools and space you would find on a laptop without that shoulder pinching case and extra 3 pounds of weight, while they play. I’m happy I still possess a full size screen as opposed to squinting to see videos on my phone, trying to compose documents on a tablet, struggling to adjust my mental orientation for size; that is until I A- try to detach it and it takes 45 minutes to figure out how without breaking it, just as much time to reattach it without doing the same, B- have attached it and detached it so many times the mechanisms holding it together are now broken and cost as much as the original purchase to put humpty dumpy back together again. Worse, during use of the detachable feature I dropped it ruining the most expensive part of any laptop, hybrid combo or otherwise, the screen; followed shortly by the scream, mine as I watch my hard earned money go down the toilet. Surface is inclined toward tablet users who need a keyboard for office functions, document creation ideal for work, meetings with word, power point spread sheets exc. highlighting portability coupled with function; problems, depending on which version you buy, original all the way up to Surface pro 3, physical keyboard connectivity, touch keyboard and mouse deemed wildly inaccurate, Wi-Fi connectivity problems and the magnetic power cord presented serious issues for gamers needing to tilt the screen while playing. As if the new track pad mouse, now standard on laptops, weren’t driving us nuts enough, they come up with something else virtually trying to horribly reinvent the light bulb; no one liked the funny shaped, mercury laden, ghastly expensive new ones of those either. Personally I don’t want a touch screen that inevitably doesn’t act like a touch screen; you jam your finger hammering the icon you want, chance breaking that all important screen still not getting the action you wanted. Forget who wants to constantly clean the litany of fingerprints, food grease smudges and, what on earth is that off of a screen handled by too many people, chance e-coli and salmonella because you accidently touched it attempting to read the recipe comprising last night’s dinner without washing your hands first; anyone who wears glasses can attest to how hard it is to get face oils off lenses, computer techs tell stories of the food and other substances lodged in computer keyboards customers bring them to please clean. And you want us to be enamored with a touch screen; buyers are sending a resounding message: I don’t think so. Debuted as a suitable replacement for laptops, possibly even bulky desktops, consumers are then met with sticker shock discovering the required type cover keyboard for some operations is listed as optional costing more than the $1,128 base price. Unable to get Wi-Fi, need more than the singular USB port, you then need either the Surface Ethernet adaptor tying up the lone USB port or the docking station averaging 50 buck to nearly 200 respectively. A docking station only available for Pro 2 and 3 not the original Surface housing variations between the former, meaning you still may not get what you need. Next who wants the attachable keyboard, the kickstand, allowing it to sit upright like a laptop, broken while in your bag, refusing to work after being toted around for a year or 2, perhaps a shorter time, placed in a safety case or no? This on top of all the Netbooks, Chromebooks, MacBook air also billed as laptop replacements lacking key features no CD/CD RAM/ DVD/Blu-ray drives, burners, no downloadable, physical office package, google docs, Word, PowerPoint online are your only choices in accessing key office tools, Apple i-works and Mac alternatives are apps not full versions on par with Open and Libre office often criticized as watered down versions of an actual office suite, inability to plug in a printer, no Skype, odd for a computer that’s primarily a web browser. Echoing the Wall Street Journal writer, “When Google announced the Chromebook five years ago, it seemed like a joke. A computer that’s only a browser? Really? What’s next, a washing machine just for socks? An oven that only roasts chicken,” only sans the change to a positive opinion after using the latest Chrome offering. Even full laptops absent the above list, lacking a basic Ethernet port, missing the previously detailed drives, leaving frustrated users in their wake. Speaking of office packages, aforementioned is the upcoming windows 10 and purported office package rumored to be numbered 16; my biggest question will it have the compatibility mode for older file versions in Word, Excel, PowerPoint, Access, for business users? Hell will there even be a physical disk version, a downloadable version people can permanently place on their device since windows 10 will be accessible across platforms PC, laptop, tablet variations and mobile for windows phone, considering their emphasis on office 365 supposedly tempting people to buy a subscription to the product promising frequent updates and additions to popular programs. Will we be evermore consigned to the watered down, open source versions ideal for novices, people who need simple note taking, basic spread sheet and something to do a slide presentation on abandoning people who need more formatting options, like the more concrete versions always represented in office suites? Put another way, lack of a backwards compatible office package, ability to put it on your computer to stay will keep people using their windows 7, clinging to their XP, perhaps buying a Mac until Microsoft learns the lesson we hope Vista taught them. Never mind when individuals, families, parents of college students, me in particular, want a laptop, a desk top that’s what I want versus being forced to be hawkeyed, not taken by a sales person peddling the latest thing only to be hugely disappointed when I walk into the store discovering all the choices I saw online, was interested in are tablet combos, lack ports, memory space, CD/CD RAM/DVD/Blu-ray drives, they cost hundreds more to include. Simmering with rage when I get it home, take it out of the box and discover just what I can’t do with it, how much more money I have to poor into it to get what I thought I was already paying for. Continuing when a majority says laptop, they want a fully loaded computer, a fully capable PC in a smaller construction that can fit in a dorm, studio apartment or avoid swallow a busy desk, not the latest stripped down thing manufactured to lure people there with bargain basement prices. Neither are we ignorant to needing choice, protesting the caliber of those choices, the shameless attempt to mislead buyers steering them toward the newest trend over what they requested. Ridiculous factoring in computer makers are likewise well aware of people buying multiple devices meeting their needs, increasingly possessing a laptop, a tablet, an e-reader, a Surface, each to a different place, purpose. On that same subject, when we say laptop we don’t mean something so thin, so light, weighing next to nothing it will shatter, crack if set down too hard, if bumped while in a bag, if gripped too hard. Messages apparently not making it to developers judging by the Smart Phones plagued with related problems; the just released i-phone 6 bending after time spent in pockets on the heels of reports linking somehow damaged batteries causing phones to light pants on fire, issues with the latest edition i-pad, sidestepping it sounds more like a feminine product over a piece of electronics, overheating. All telling us maybe we should shove the technology; already we’ve traded traditional looking flip phones for huge square things perhaps ideal in using the everything packed into a phone except what it was actually meant for, making and receiving calls, net connected means you require anti-virus and spyware software protection too added to the laptop, tablet and Surface you have at home, oh joy another bill, another thing to get hacked. Screens utterly unprotected, cracked screens comprising the bulk of smart phone repairs, unless you buy a case reviving stylish variations on the pocket protector seriously eating into the cool factor, no matter which brand you go with. Seemingly oblivious instead they come out with the Apple watch; didn’t they notice millennials, younger generations stopped wearing watches about the time cellphones became teen staples and subsequently displayed the time and date? Plus older persons still attached to their traditional time pieces wouldn’t know how to operate key features, significantly slashing Apple’s market. Certainly people don’t want to cough up the $349 introductory level price only to snag your arm on something breaking the band, sending the watch face flying, result only half of it working after the ordeal, running the risk of losing it altogether; people don’t want to shell out those kind of numbers on a watch to smack your arm on something breaking the face, mirroring the problem surrounding smart phone, tablet screens necessitating costly repair or replacement. Using my own experience, I stopped wearing a watch when I got a cellphone because the bands on watches I liked and were cost friendly were also routinely too small, broke easily, lacked the easier to use Velcro option, should one last past roughly a year without breaking said band, falling from my pockets being carried around then checked repeatedly, the batteries began failing and replacements either did not function or finding store personnel to implement replacement was a hassle. Returning to the 21st century Apple remake on old school, others will immediately take issue with the voice command option that doesn’t understand your accent, necessitated by the small screen where you really can’t see anything from friends your calling, messaging on Facebook, though their face is on the screen to reading that text message, web search results adding up to what’s the point? Apple was careful to bill this as companion technology along the lines of laptops, tablets and e- readers, people commonly having one of each; however that seems to matter little to the non-tech-geek buying public who can clearly see they mean for it to grow into a smart phone substitute. One of the first comments upon perusing the specs and discovering the needed side technology to operate the Apple watch read like this: “Users will require an iPhone to use the Apple Watch’ FAIL;” a compounded failure to consumer eyes when the i-phone referred to is either a 6 or 6+, the only models designed to complement their space age watch. TMI (too much information) might be a concern to some who really don’t need to have their heart rate, blood pressure available at all times, a built in pedometer chart indicating miles ran, calories burned; true they house wonderful tracking mechanisms for the health conscious in our population, might make people think about walking more, minding stress. Conversely it can feed compulsions to exercise, exacerbate the hypochondriacs among us, send persons racing to their doctors should the tech ever malfunction causing people to think their health is in jeopardy when it isn’t. Unveiling the most recent chapter in the saga of i-phone, launching a wholly new product to a rapt audience, Apple still wasn’t done; coinciding with the i-phone 6 and 6+ was a buzzed about concept come to reality, Apple pay. Gone are easily hacked credit cards, easy to steel cash, almost obsolete checks; just pay with your smart phone. Use your thumb print to unlock your phone, hold it to the POS (point of sale machine) and Apple pay affiliated with major banks nationwide creates a unique, one time transaction number, charge processed through your debit or credit account. An ABC Good Morning America anchor took it for a seamless test drive at whole foods, a participating Apple pay retailer, but that isn’t the end of the story. Beyond Apple Pay’s newness, affiliation with only large banks, select retailers, stores, concentrated in larger cities, CNN’s anchor wasn’t so lucky in his Apple pay experience. It appeared to function as designed, creating the singular transaction number, allowing him to buy his items at participating stores, perfect until he went online the next day to check his account statement. Apparently he was double charged via his debit card for every transaction; adding to the frustration, he spent a reported hour and a half between his bank, Bank of America, and Apple virtually listening to them bicker, the bank blaming Apple, Apple standing by it’s tech reiterating there was nothing they could do because the security featured one time transaction number means no traceable names, dates, numbers. Eventually Bank of America did agree to refund his money sounding more like a concession to a valued customer than any recognition of a recurring problem. Of course new things will always possess hiccups, glitches and take time to catch on, but finances are serious business for people especially post the recession, duplicate charges can lead to overdraft fees on debit accounts declined cards and subsequent overdue charges for bills set up through automatic bill pay. Nor does it address the credit/debit card system; the fact we can make it better, more secure if we force card makers, POS retail users to enact security measures suggested by experts, an undertaking for the federal government. We had the Target hacking scandal and who knows how many others because they weren’t using recommended security precautions, card makers over and over gripe the microchips wanted by security monitors and the government would cost too much, hints why we have a POS, card system with as many hacking holes as Swiss cheese. And why speak out about it when you can make money on a product to circumvent it even if it is horribly trying to reinvent the ‘how we pay’ light bulb again. Yet this is Apple synonymous with cool, cutting edge the epitome of getting us to buy more junk we don’t need to impress people we don’t even like gadget style. Entertainment is another technological sticking point for consumers; back-burner-ed in the recession people with slightly thicker wallets are beginning to spend money on entertainment opting to take advantage of slashed prices on big screen TV’s, advancing TV, Blu-ray, gaming innovations. But questions remain, how much innovation is too much innovation; movie theaters have long known people were opting for the comfort of home, DVD’s DVR, on demand services via their cable provider, plan; no annoying moved talkers, texters, people kicking seats, throwing food and ruining an experience you paid good money for. But smell-o-vision, rocking seats to match the action, wind and water jets, $100 outing for a family of 4? Supporting the common saying there is no accounting for taste, complaints movies themselves, special effects, 3D in particular, are just backdrops for bigger explosions superseding any plot whatsoever, people are buying it thanks to select 4D theaters cropping up in major cities. Never mind who wants the stench of burnt rubber colliding with their hotdog, the blood, body fluid stench associated with programs like CSI, any standard horror flick clogging their noses over their Mike & Ike, who wants water and wind soaking or blowing over that tub of popcorn you just doled out $10 for a small; people with scent sensitivities, respiratory problems such as asthma won’t be enjoying the 4D experience, rather hauled out on a stretcher taking a trip to the local hospital. Little known is that 3D TV’s with their long term use glasses, which cost extra, 3D screens don’t work for people with a lazy eye or other eye problems and diseases, whether you’re in the theater or at home; repeating and you want to sell us on 4D seats rocking, jarring a grandmothers bad hip, someone recovering from an injury who wants to see a movie the first time they are capable of leaving their house for a trip outside their doctor’s office? What about people with disabilities in wheelchairs not siting in specially seats, people you could injure rocking them all over the place; kind-a makes 4D screen technology a 4 pronged flop doesn’t it? Similarly yes the old analog, tube based TV’s were certainly due for an upgrade; after 25-30 years of VCR’s and VHS, DVD was technological evolution personified, Blu-ray right behind it. Yet today it isn’t just product overload like everything else 15 plus kinds of milk at the store, organic orange juice and free range meats, the headache of buying a computer, it’s replacing a broken, well anything, toaster, washing machine the average person can actually operate, none more so than trying to replace a basic TV; prior to the digital transition and in the wake of it TV’s seem to have suddenly joined the space age, peoples rush to buy, to have the cutting edge home viewing fueled by the change. Too bad it’s for the worse, on your aching head that is; disregarding the spec and feature sheets plastered to them in stores that might as well be written in gibberish, there is the LED, LCD, plasma, 3D TV, the Smart TV, lately the curved screen on home theater sized models eliminating glare and poor quality for the person sitting on either edge of the viewing area. Added complications include, ascertaining which size will fit in an existing entertainment center or shelf absent having to spend more buying a new one of those too, rearranging your entire living room, bedroom, office getting it home to find it too cumbersome in your kitchen or finding the shelf collapsing under the TV’s weight. Who actually has 60 to 90 inches of space for a mega home theater TV in the first place and so called Smart TV’s for being smart have proven ridiculous difficult to use. A situation not caused by the purported dumbing down of society through the generations when some might remember the actual rocket scientist profiled on 60 Minutes needing Geek Squad to help him with his TV remote because we have managed to design them to be that complex. Trying to hook up older technologies to a new model, good luck with that; while newer DVD, Blu-ray and gaming systems have all converted to one singular HDMI cable input, something as recent as the original X box, Nintendo Wii lacks that one cable hookup usually using a variation of three AV cables, red white yellow, or blue orange, green. Inputs seemingly still present, being sure you have enough of them another story. We’ve gone from being able to hook up our laptop to our large screen TV for showing off pictures at family gatherings, supposedly streaming Netflix, other net based content onto your TV to having it built into the TV itself, calling it a Smart T.V. However, growing pains of learning to use it, set it up notwithstanding I agree, so do many others apparently, judging by buying habits, with the CNET writer who complied and regularly updates a clear cut buying guide. “Since you can connect a $50 Roku , $99 Apple TV, $150 Blu-ray player $200-$500 game console, or any number of other devices to make any TV “Smart” — in the sense that you get access to Netflix, Amazon Instant, and the rest — the “apps” on TVs are often redundant. That’s why I want my dumb TV.” Or in my case, I don’t want a TV asking me to go through a thousand set up steps for things I don’t have, Netflix, social media, web based video sites, annoying or tantalizing me with things I can’t have, trying to figure out how I can hook my TV to the internet in a wireless dead zone with one phone jack, in another room, and an Ethernet cord. So if consumers don’t want the latest bells and whistles, the latest operating system, newest edition smart phone, the latest game console, what do they want? Well we could start with understanding, there are people in the United States who don’t have a Netflix, Hulu Plus, Amazon instant subscription and, gasp, don’t want one. Neither do we want our gaming systems, scratch that our DVR, forced to be net connected solely for set up purposes, require a wireless router (more money) just to program our TiVo; one time set ups still mandates a net connection we may not have. People still live in older homes, apartments incapable of whole home Wi-Fi, lack phone jacks and other needed built in hardware for whole home DSL no matter how many Ethernet ports you build into device X, how many Ethernet cords you provide. Even for those who do have the space, the hardware, the ability it does nothing if you can’t get the internet speed to stream things onto a TV; forget the millions confined to wireless dead zones, swaths of the nation living in broadband blackout relegated to dial up, affording the highest speed DSL is expensive, forced into rare wireless accesses for your remote location, triply expensive. Cost is only one aspect; all the money in the world doesn’t fix internet providers who can’t or won’t give the speed advertised, when yes there is a limit to the speed that can be achieved, the speed common to most ISP’s serving customers across the country. Willingness to fork over top dollar is further meaningless in a post net neutrality world where entities like YouTube and Netflix reduce allotments given to some “lesser” ISP’s then blame buffer rates, interruptions and connectivity problems on the “substandard” ISP , high volume and peak hours. YouTube continues to frustrate users with their HTML 5 player which is not a permanent setting even for account holders, an HTML 5 player suddenly foisted on them when videos abruptly stopped playing and they were presented with YouTube’s “explanation,” an HTML 5 player that causes laptop fans to run more, run hot possibly due to the amount of CPU usage wrecking an alternative for lower net speed users, frequent Tube video watchers. What we want is, there’s that word again, simple; options, choices that mean opting out, mobile phones that do basic things get calls, make calls take messages, prices reflected accordingly, the choice to turn on or off features, use or not use features and our bill reflect that as well. Confined space dwellers, people interested in using their desk for more than housing a computer want a laptop, a fully functional machine in a smaller package and we don’t appreciate the manufacture and store deception trying to sell us the latest tablet, Surface instead. If you want something productive to do, how about creating a laptop that can run as much as a desk top, 12-16 hours at a stretch, can handle high octane use without having to cool after 8; novel thought, a desk top that doesn’t consume an entire desk? We want true office packages, software permanently placed on our machines and operating systems that last beyond 6 months to 2 years, backwards compatibility to “older” documents, models, tech makers to push for a better internet before they start eliminating Ethernet ports, assuming everyone buying a new PC due to outdated browsers, failed hard drives and discontinued security updates is using the latest connection speed, type around. Browser and webpage designers would do themselves enormous favors if they calibrated, engineered their sites to work with all browsers at all speeds, reduced ads and none site content, sent advertisers messages from user PC’s saying their video selling Viagra, insurance, promoting entertainment news, headline feeds their ad wasn’t playing due to low internet speed so they could see just how many people are trapped through expense or availability in those speeds, adjusting their ads to match potential viewers. Game and TV makers, same thing with the additional advice to stop trying your own remake of the light bulb; consoles can have all the options for live gaming, massaging and social media, latest updates and game downloads, saving online as well as off, they want to. Still I should be able to bring it home, hook it up to a TV put in a game disk and play- nothing more than needed cables required, no net connections, accounts and minutia. Buying a TV, certainly give me the option to connect to the net, stream Netflix, experience 3D but also don’t force extra vigilance in getting the older standard inputs for a retro game system, retro enjoyment of the things I like; this is crucial seeing vintage game systems periodically making a resurgence, sites like ThinkGeek, retro discount shops like Slackers selling original Nintendo, Super Nintendo, Saga RetroN 3, RetroN5 combo systems blending old and new technologies. That is the technology we want.